BAM Splashes, Pops, and Rolls through the Sound Design and Mixing of this Animated Commercial for “Schwyzer Kantonalbank”! BAM’s Audio Engineer Philip von During Sound Designed and Mixed the “Sommer” spot for the Schwyzer Kantonalbank! While using BAM’s extensive sound library and conducting foley, Philip brought this animated commercial to life. Every small sound like the soft clinking of ice cubes in a glass to the loud sound of an umbrella bursting into the air was recreated from the ground up. Sound Effects including a golf ball being whacked, popcorn exploding, and the thousands of credit cards and golfballs that fall at the end was made through Foley. What’s Foley you ask? 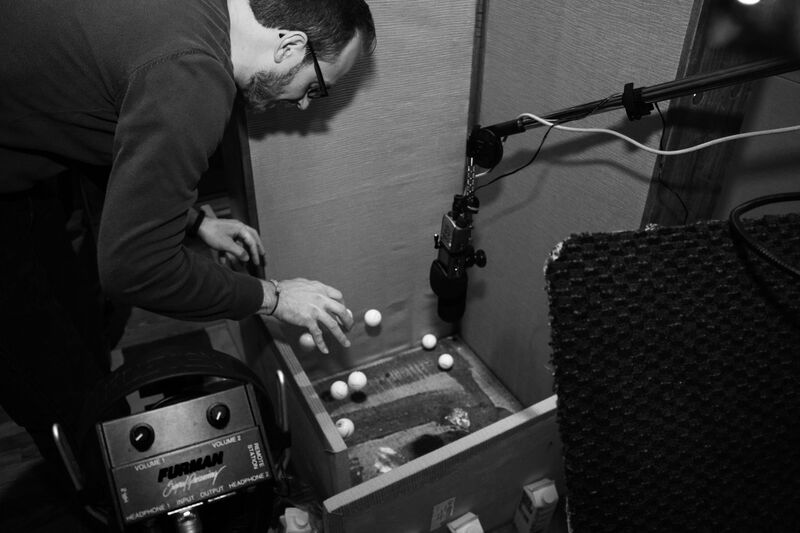 Foley is the process of creating and recording sound effects to picture during post production. Take a look at Philip below recording Foley! Philip von During stated, “The magic is making 15 pucks sound like a thousand”. He sound designed, edited, and mixed this spot since January while the animation was being produced bit by bit in Switzerland. We’re glad to announce the release of this awesome commercial! It will be playing in differing theaters across the country. We have another one that is winter themed set to release in the late fall season! Follow us on Facebook, Twitter, and Instagram to keep posted on these fun spots!